The metaphor of a meandering river runs through this new K-8 site; our design features building forms around the central, unifying ‘waterway’. The concept is embodied in multiple learning spaces and STEAM centers, following a pathway of developmental stages. Student growth and development mirrors the course of the meander – both evolving and changing over time. 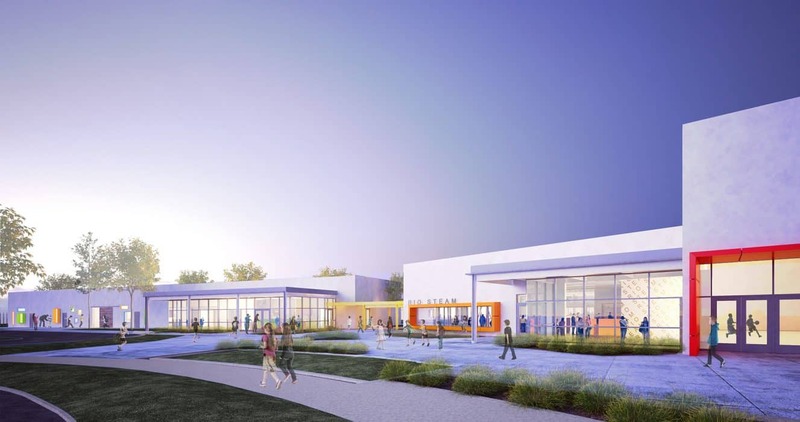 Rio SD’s STEAM campus will showcase the District’s commitment to hands-on learning, helping students discover and pursue their educational/professional vocations – passions that will connect them with a lifetime of learning. 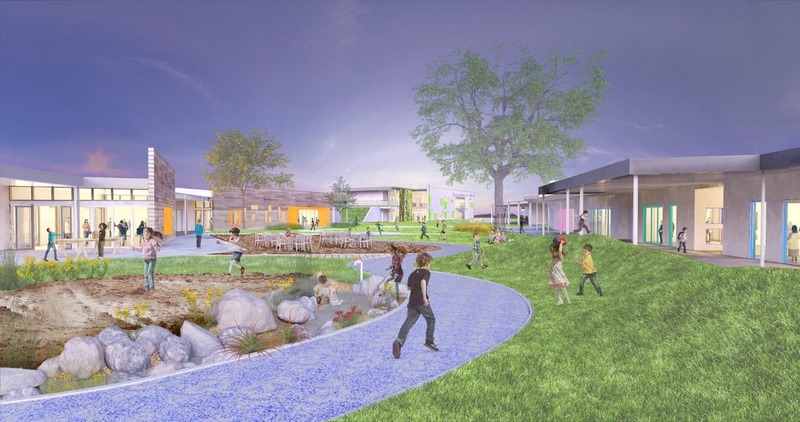 Outdoor environments will be designed to function as classrooms, drawing on the nearby river and flood control channels as sources of study inspiration. 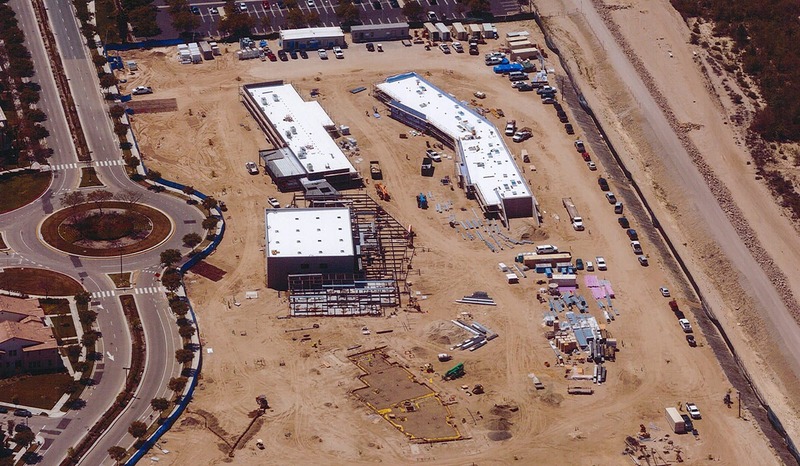 Project Type: K-8 Classrooms, STEAM Center/Makerspaces for Building, Reading, Ceramics, Performance, and Science; Outdoor Makerspaces throughout the Quad; Library, Administration, Multi-Purpose Space/Gym, Lockers, Food Service, Culinary Classrooms, State/Theater Classrooms.